This issue, perhaps more than many others, demands civic engagement on a large scale. The recent repeal of the business head tax combined with the Seattle City Council and the community’s inability to coalesce around meaningful solutions to the problem of homelessness should lead us to conclude we need a citywide gathering like the 1990 Education Summit to tackle the issue that is now front and center. Successful civic engagement based in a community with a desire to bring social change can only come about in an honest, open and authentic process built on the words, hearts and minds of citizens. 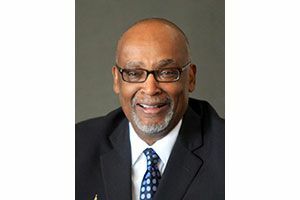 Norman Rice, who served two terms as Seattle mayor from 1989 to 1997, is currently finishing a book on civic engagement. We can deal with this issue that is so prevalent in the minds of our community. But to solve the problem, we must come together over shared values and listen to and understand what people of this city are saying. You may want to give every homeless person in the city a one-way bus ticket out. Or you may want to let them pitch their tents any old place that suits them. Somewhere in-between lay solutions we can all get behind because we share the value that we just really do not want people dying in one of the richest cities in the country because of a lack of shelter. A successful homelessness summit would require civic engagement on a scale we have not seen since the 1990 Education Summit. Even without social media as a platform to encourage engagement, back then we were able to bring together thousands of residents to discuss issues involving Seattle Public Schools. The 1990 summit kicked off with 32 neighborhood meetings with a broad and diverse cross-section of stakeholders, including parents, businesses, residents, educators and others. A second, follow-up series of community meetings refined ideas that could be accomplished locally. An overarching goal materialized: Make our children safe, healthy and ready to learn. That fall, voters easily approved a seven-year, $69.2 million levy that would fund early-childhood development, school-based student and family services, comprehensive student health services, and out-of-school youth activities. The Families and Education Levy survives to this day as a testament to the city being engaged with our public schools. A successful homelessness summit would allow all voices to be heard and all solutions to be considered. And, in the end, it would work because the solutions come from stakeholders and the community collaborating on solutions. The city is in crisis over homelessness. It is time to bring together the ranting talk-show hosts and their listeners, the social-services community, the business community, the schools, the mental-health-services community and, most important, the citizens of Seattle to talk with and listen to each other in a safe, meaningful way. Only meaningful engagement on this issue will give the community a sense of accomplishment in finding a range of solutions and how to pay for whatever programs are deemed to be the most promising. This issue, perhaps more than many others, cries out for civic engagement on a large scale. The City Council has learned a painful lesson that without civil civic engagement, you just get screaming and people marching in the streets. Both activities are effective ways of expressing anger, but not always helpful in forming public policy. But when citizens have been asked to participate and listened to when they did, only then can you translate protest to governing.